What a tangled web we weave when first we practice to deceive, wrote Scottish novelist Walter Scott. In Steven Levenson, Benj Pasek and Justin Paul’s Tony Award winning musical Dear Evan Hansen, a beautified example of what theatre needs to be for contemporary audiences, harmless actions start off with the best intentions but shockingly begins to percolate into an unsolvable problem for everyone involved. That doesn’t quite sound like the foundation of a satirical or sublime musical event you don’t want to miss but there is so much more going on under the surface this may very well go down as your all-time favourite song cycle productions you’ve ever experienced. The predicament unfolds when an awkward and chatty high school senior named, Evan (Robert Markus), writes a doctor instructed confidence building letter to himself that’s intercepted by classmate, Connor (Sean Patrick Dolan), who to the horror of parents Larry (Evan Buliung) and Cynthia (Claire Rankin) and daughter, Zoe (Stephanie La Rochelle) when Connor decides to end his troubled life. Evan tries to set matters straight but it’s a hopeless cause when a school chum, Jared (Alessandro Costantini), steps in help fill the hole he’s dug for himself. The end result is an evolving false narrative of friendship that seemingly does more good than harm. 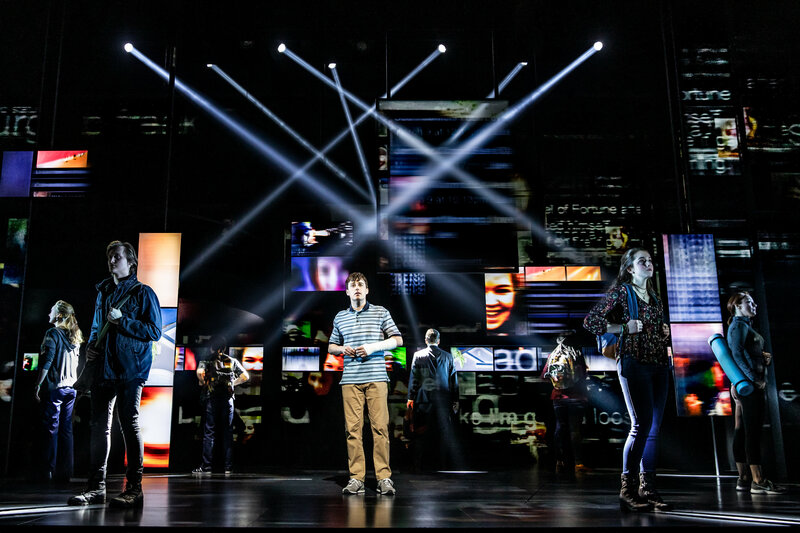 Dear Evan Hansen feels like a show about making a new start and not giving up although it morphs to a message of remembering that it’s always a good day regardless of the social forecast. Yet when the curtain falls, you’re swept away by the feeling that everyone matters, no one is unimportant. With magnificently memorable toe tapping songs such as ‘For Forever,’ ‘Requiem,’ and ‘You Will Be Found,’ you’ll effortlessly draw the conclusion that we all serve a greater purpose to others at different times of need.